Protects soft silicone hose with an integral inner liner. Heavy-duty, four pieace Quadra-Lock construction. Full range of sizes available for all applications. There are four important things about silicone hose which have a direct effect on clamp selection; silicone hose is soft, hard to seal, expensive, and durable. 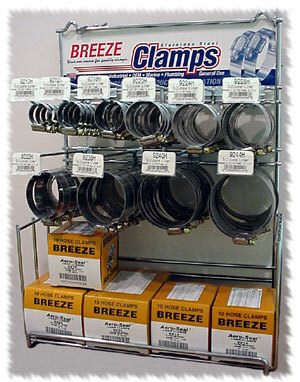 Breeze liner clamps were developed to offset the first three and to compliment the durability. They afford maximum protection to silicone and other soft hoses while providing a true concentric seal. To protect the hose from extrusion and shear, we extend an inner liner to cover the worm-gear slots. These inner liners are integral extensions of the band, not separate welded or riveted extensions that won’t lie true to the clamping axis. There are no bumps under the housing to jeopardize the concentricity of the seal, and no laminated coverings to disintegrate under heat, ultraviolet, chemical or corrosive attacks. 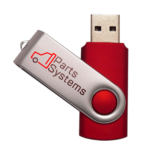 They are available in 100% stainless steel – important because silicone hose can last up to 10 years or more, and clamps that are not stainless can rust out in less than 2 years. Breeze Aero-Seal liner clamps are designed with Quadra-Lock construction which enables more tightening torque to be delivered to the perforations while maximizing vibration resistance. 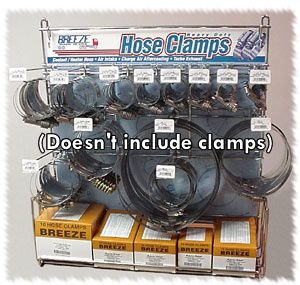 Liner hose clamps have a 1/2″ band width.